Another not-so-well-known potential advantage of HCG is its ability to increase pregnenolone, the "master hormone" that is at the top of our production line. 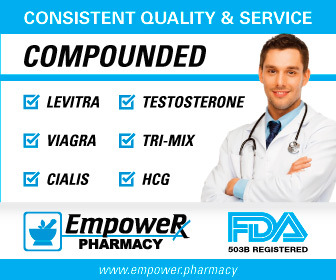 Virtually all of the well-known hormones, many of which help us mentally and sexually, start with pregnenolone, including DHEA, testosterone, estradiol, DHT, progesterone and cortisol. Considering that many men are often low in one or more of these key hormones, stimulating pregnenolone may be a good thing for these men. The theory is that pregnenolone can "trickle down" and increase other downstream hormones as the body sees fit. 4. My Own Labs. Here were my labs pre-HCG after starting on 25 mg daily of pregnenolone and DHEA. Keep in mind that I was taking compounded DHEA/pregnenolone and so the quanity should be very accurate. Notice that both DHEA-S and progesterone had risen. Of course, it would have been nice if I had pulled pregnenolone directly, but I did not simply to save money. However, the downstream hormones of DHEA and progesterone appear to have risen significantly from the HCG even after a relatively short time period of taking it. NOTE: I actually do not want my DHEA-S or progesterone that high and am going to discuss lowering my dose of DHEA and pregnenolone shortly. 1) Molecular Human Reproduction, 1996, 2(6):391-400, "Expression of Ad4-BP/cytochrome P450 side chain cleavage enzyme and induction of cell death in long-term cultures of human granulosa cells." 2) The Journal of Clinical Endocrinology & Metabolism, 1996, 81(6), "Novel presence of luteinizing hormone/chorionic gonadotropin receptors in human adrenal glands"
4) J Neurochem, 2007, 100:1329-1339, "Luteinizing hormone receptor mediates neuronal pregnenolone production via up-regulation of steroidogenic acute regulatory protein regulation"
5) J Endocrinol, 1990 Apr;125(1):131-8, "Effect of LH injections on testicular steroidogenesis, cholesterol side-chain cleavage P450 mRNA content and Leydig cell morphology in hypogonadal mice"